Texas inmates may soon get more phone time — lots more. In an amendment to House Bill 1, proposed by state Rep. Jerry Madden, R-Plano, inmates who are eligible to use the phone system could get 480 minutes of talk time per month, instead of the current 240 minutes. That's up to eight hours of talk time. Madden said few of the 150,000 Texas inmates reach the existing 240-minute cap. In 2007, Texas became the last state in the nation to allow payphones in prisons. The idea was to help decrease cell phone smuggling and help the state generate money for the Compensation to Victims of Crime Fund. Initially, inmates were allowed 120 minutes of talk time, but in December 2009, that was doubled. The 240-minute cap was expected to raise $7.5 million for the Compensation to Victims of Crime Fund, but only managed to bring in $5 million. Madden said he hopes to see the $7.5 million raised with this new 480-minute cap. “This is an easy way to raise more revenue for the state,” he said. 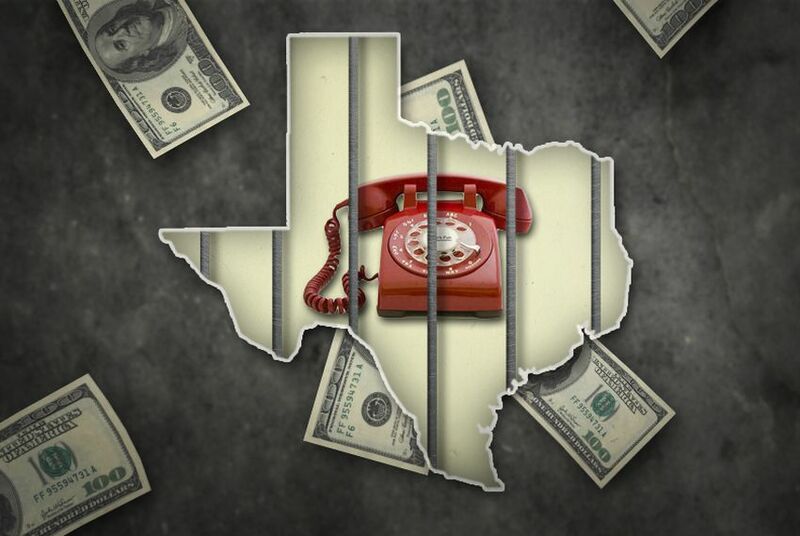 Robert Elzer, a board member for the Texas Inmate Families Association, said the increased phone time will also help families who have been affected by the economic downturn. He said families who have to travel long distances to meet with their loved ones will have the opportunity to cut back on that travel. He said it would also help inmates feel less isolated. Inmate phone calls are monitored by the Texas Department of Criminal Justice. And the calls can only be made to those on an approved visitation list. Currently, it costs an inmate about 26 cents a minute to speak with someone in Texas and 43 cents a minute for out-of-state phone calls.